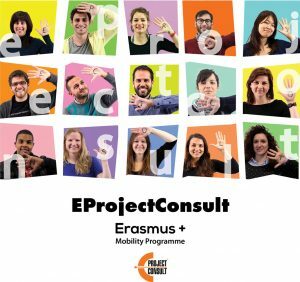 Just few days ago, we had a pleasure to welcome in Barcellona Pozzo di Gotto 15 participants from Croatia in in the frame of the Life Long Learning program, mobility project for People in the Labour Market (PLM) called “Travel, Study, Cook”. First day they had an opportunity to discover the city, to settle in their apartments and take a good rest before their professional practice in the field of cooking will start! Yesterday the participants had a first glance in Sicilian cuisine and they were introduced with the work activities and tasks that they will be involved in during the internship. The first week we divided in four parts accordingly to four courses, so the first course was dedicated to the preparation of the traditional first course of Italian meal called Antipasto meaning “before the meal”. The professional cook presented the preparation of the dish called Parmigiana which is made of a sliced filling, layered with tomatoes, cheese and eggplants and baked in an oven. The students said that it’s just delicious, yet more it’s easy to make! We suggest you to include it in your must- tray- make recipe list! However, today the participants were very even luckier as they learned how to prepare the first course dishes like for everyone well-known Italian pastas like pasta all’Eoliana and pasta e lenticchie (pasta and lentils). The latter combination lentils and pasta are a traditional pairing in Italian cooking and it is excellent that way. So stay with us to see what tasty dishes we will prepare for the main course and dessert.